It's always spring in my studio! 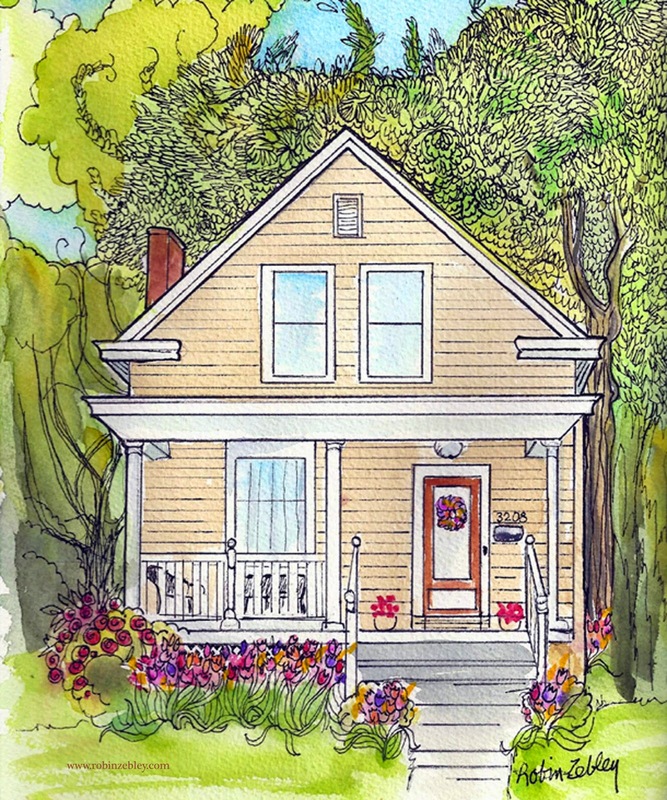 Here's a portrait I just painted of a home in Cincinnati, Ohio. I had to work from more than one photo because it wasn't spring at all! I loved painting in her pretty garden and adding the trees all leafed out. I like how the nearby tree turned out. It's more detailed then I usually do, but I'm going to do more of that. Thanks for stopping to look at it! I'm artist Robin Zebley, I live just outside of Philadelphia, and paint home and pet portraits all over the country thanks to the internet!